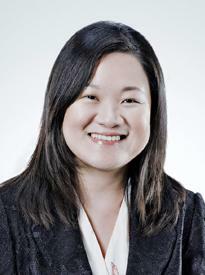 Anne is the Co-head and Partner in the Funds and Investment Management Practice Group at Rajah & Tann Singapore LLP. She has more than nineteen years of practice experience in investment funds work. Anne is ranked in Chambers Asia Pacific (2013 – 2019) as a leading individual for Investment Funds who has a deep understanding of the Singapore regulatory framework and who advises extensively on the formation, structuring and restructuring of private investment funds and the counsel on regulatory submissions. Recently, she was given an individual award by Client Choice International Guide as a leading lawyer. Anne is also selected by her peers for inclusion in The Best Lawyers in the field of Private Funds (2014 – 2020) and is recognised in Legal 500 and in Who’s Who Legal as a Leading Lawyer in Private Funds (Formation). Legal publications note that that Anne “is a popular choice for fund managers with regard to structuring, formation and restructuring of funds”. More recently, the legal publications note that she “has built a reputation as an excellent investment funds lawyer, with strength on Singapore regulatory work in particular”, and who is an “outstanding, responsive and very knowledgeable lawyer” who has “an in-depth understanding of commercial and practical requirements of a business”, who provides “high quality service that extends beyond the monetary value”. Anne has extensive experience in the formation and restructuring of a wide range of onshore and offshore investment funds covering a broad range of strategies and asset classes including hedge funds, fund of funds, fund-of-ones, private equity funds and other pooled private investment vehicles. She regularly acts in fund transactional and advisory matters for private and institutional investors. Anne is a specialist in the counsel and preparation of complex regulatory submissions and regularly acts in the licensing and registration of fund management companies and financial intermediaries covering a broad range of business models. Anne regularly advises on ongoing business conduct matters, formation issues, marketing and securities offering arrangements. Anne is fluent in English, Chinese and the Malay language. Anne was a recipient of the ASEAN Scholarship for her Pre-University studies at National Junior College in Singapore, and later read law at the National University of Singapore.